Including return flights, arrival and port transfers, luxury Inside Passage cruise aboard an award-winning ship, all accommodation, daily breakfast, and more. 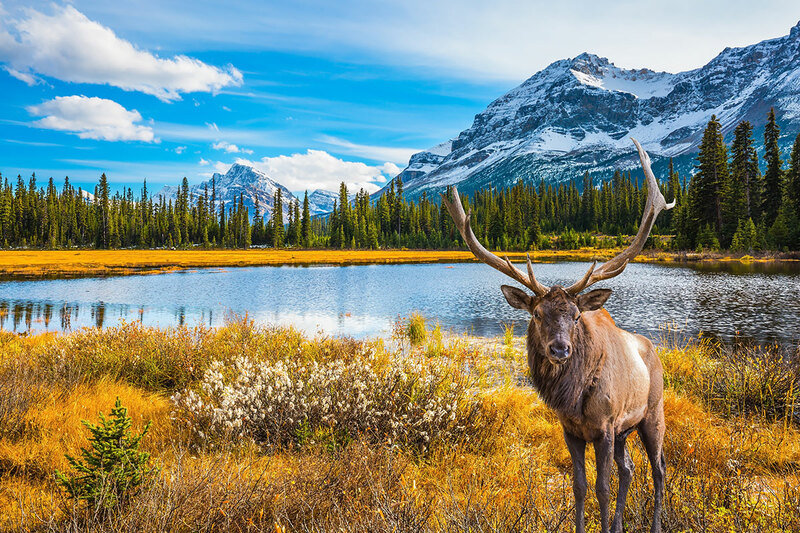 Experience the beauty of Canada and Alaska on a 14 day Highlights of the Rockies tour with an unforgettable Alaska cruise. The scenery and sights you experience on this tour will make an impression that lasts a lifetime. 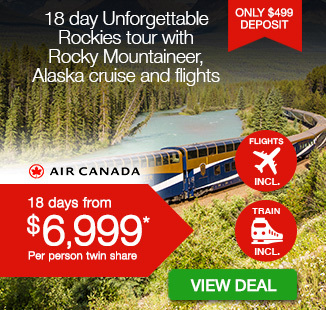 The iconic landscape of the Canadian Rockies is more majestic than any postcard could ever do justice, and this tour connects you with some of the prettiest outlooks imaginable. 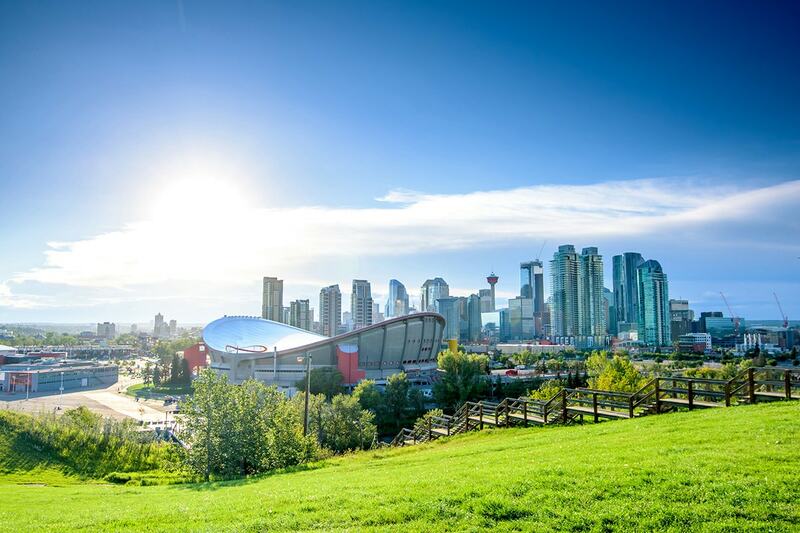 Fly into Calgary, the city dubbed ‘Cowtown’ for its Western energy and traditions, and then soak up the alpine vibe at Banff. Walk around the shores of the ‘Diamond in the Wilderness,’ Lake Louise, and journey to Jasper to discover its small-town atmosphere. Next, travel to Whistler and be quick to learn why this mountain town has garnered legendary status in the hearts and minds of locals and international travellers alike. The overland portion of the tour concludes in Vancouver, but not before you enjoy a panoramic city tour of this west coast seaport. Become acquainted with your sea legs as you step aboard the luxurious Celebrity Eclipse® for a fantastic 7 nights spent cruising the waters of the Inside Passage. 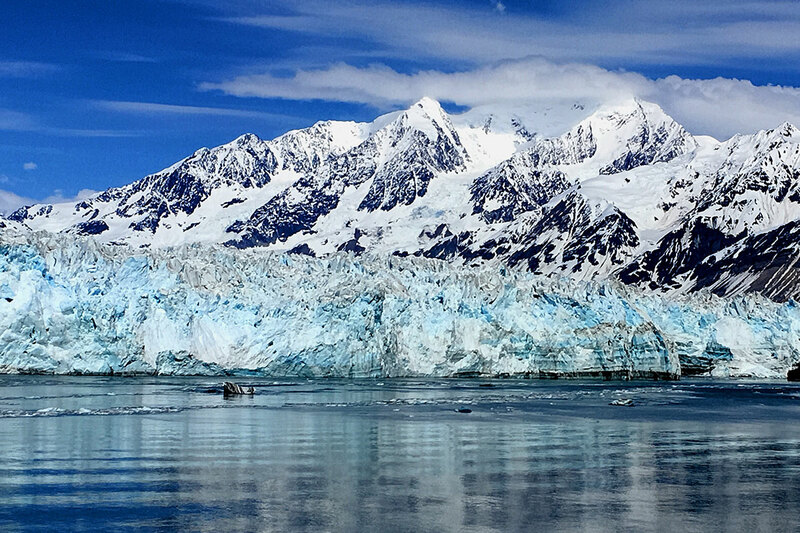 Make ports in Juneau, Ketchikan and at Icy Strait Point; sail past the imposing Hubbard Glacier and maybe even bear witness to a gargantuan iceberg breaking off and beginning to float out to sea. Look out for local wildlife as you cruise, and keep an eye trained on the water to catch sight of orca whales and sea lions. When you’re not admiring your photogenic surrounds, make use of the Celebrity Eclipse®’s exemplary on-board facilities, be it relaxing on the sundeck, chatting with other passengers at mealtimes, or relaxing in your contemporary stateroom. 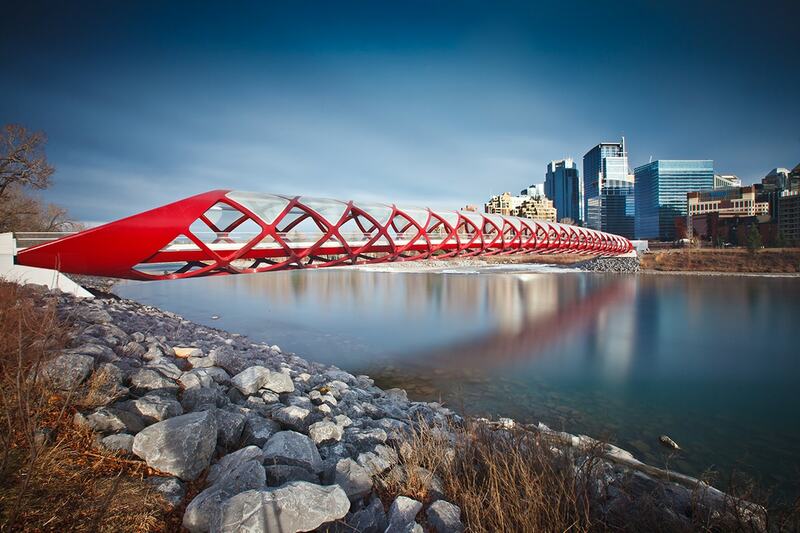 Fly out of Australia to Calgary, the city dubbed ‘Cowtown’ for its Western-style atmosphere and hospitality. You will be met upon arrival and transferred to your hotel. The remainder of the day is free at leisure. Tonight, your Webjet tour guide will officially welcome you to Canada. Begin the journey into the Canadian Rockies after breakfast at the hotel. 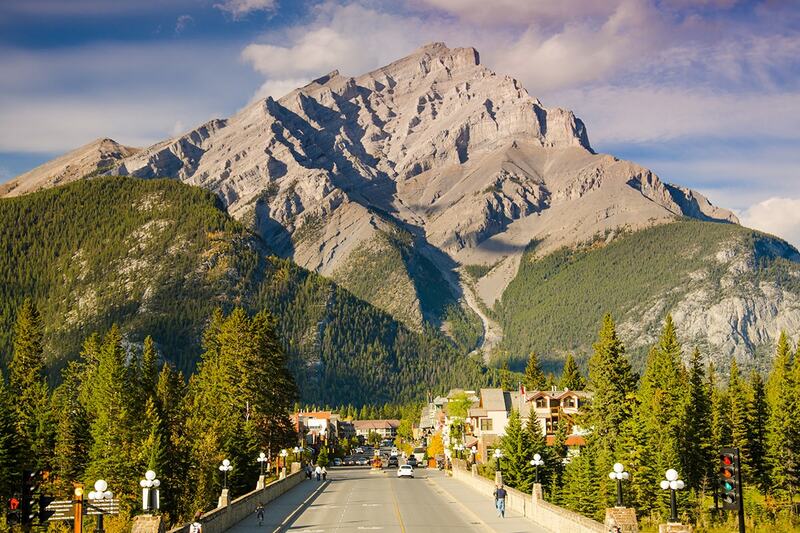 The first stop is the renowned mountain town of Banff. Visitors will immediately notice the peaks of Mt. Rundle and Mt. Cascade, which both backdrop Banff’s skyline. Spend some time wandering Banff Avenue, the main thoroughfare, and weaving between its mix of boutiques, cafes and restaurants. 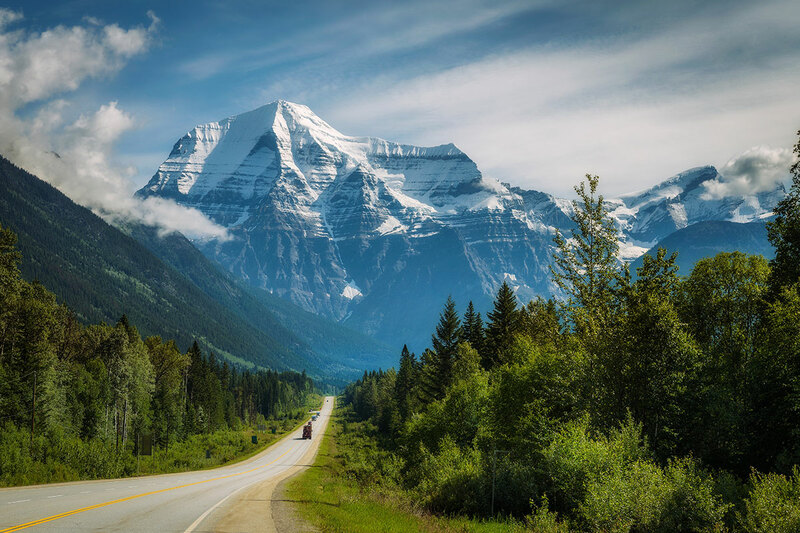 Continue the drive to Lake Louise, the glittering green-hued lake that is affectionately called the ‘Diamond in the Wilderness’. 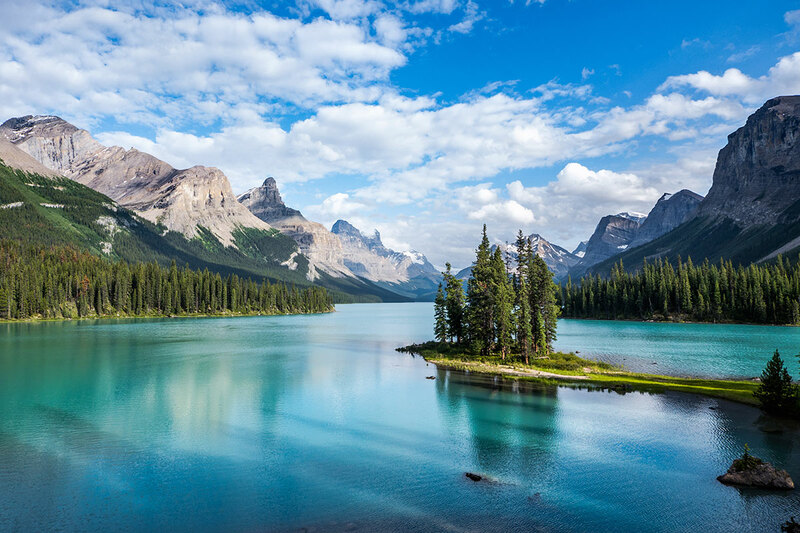 You have the chance to walk the lake’s shore and take your own happy-snap of this much-photographed site before the group carries on through the Rocky Mountains towards Jasper, the location of tonight’s stay. This morning is yours to explore picturesque Jasper at your own pace. Jasper is an intimate former railway town that has retained much of its close-knit community atmosphere. It also happens to sit smack-bang in the middle of some of Canada’s most gorgeous protected wilderness. Say goodbye to Jasper and set out for Kamloops, passing Mount Robson along the way. Today’s travels take you along the Trans-Canada Highway towards the ski town of Whistler. After arriving in Whistler, you can sit down to a bite to eat or opt to stroll around this prolific mountain hotspot. 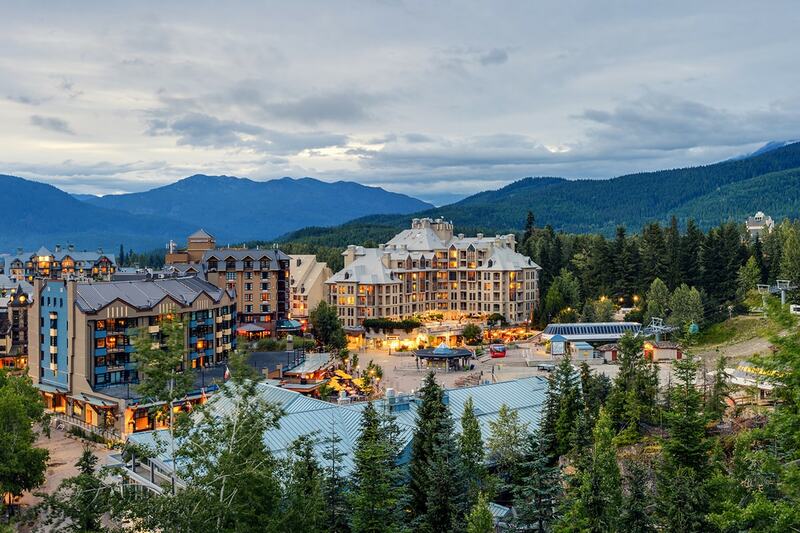 Whistler is only about 2 hours’ drive north of Vancouver, and about 4 hours’ drive west of Kamloops; making it a popular destination for both Canadians and international travellers. In fact, more than two million people visit Whistler every year, either for skiing and snowboarding in winter or mountain biking in the summer. Whistler’s pedestrian village centre has scooped a handful of design awards, most notably for the way it blends into the natural landscape. While in Whistler, you may come across one of its furry locals; the bears in the area have adapted to civilisation and have learned to open car doors, gates and even newspaper bins. From Whistler, the group ventures down the North Shore, following Highway 9 between Squamish and Horseshoe Bay – one of the most beautiful roads in the area. On arrival into Vancouver, the evening is at leisure. This morning head out on a half-day sightseeing tour of Vancouver. You will drive around Stanley Park, stopping at the Totem Poles and Prospect Point; see Chinatown with a stop at Dr Sun Yat-Sen Park; see Gastown and take in the Steam Clock; and finally arrive at Granville Island where you can explore the Public Market and the many neighbouring shops. 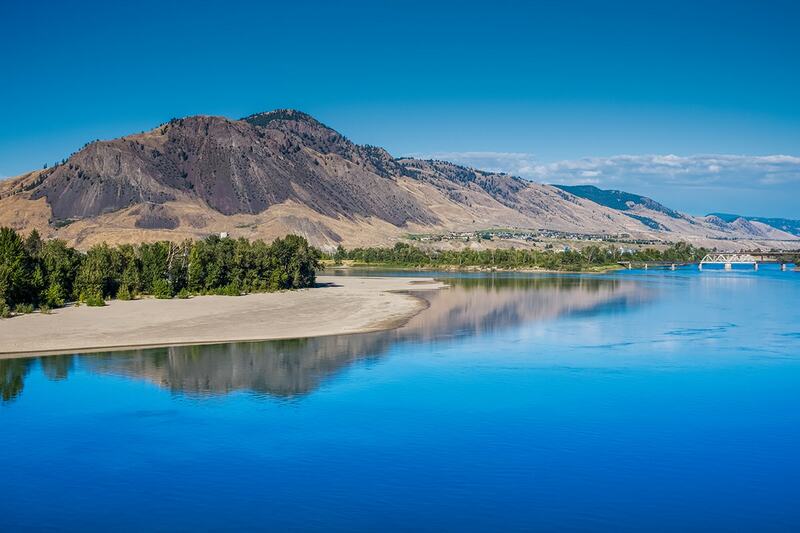 After the tour, your private coach will transport you to the Vancouver cruise port, where you will step aboard the award-winning cruise ship, the Celebrity Eclipse. This luxurious vessel will be your home for the next 7 nights as you explore the Inside Passage. Today, enjoy everything your ship has to offer as you sail beyond the Inside Passage into the more protected Alaska Inside Passage. 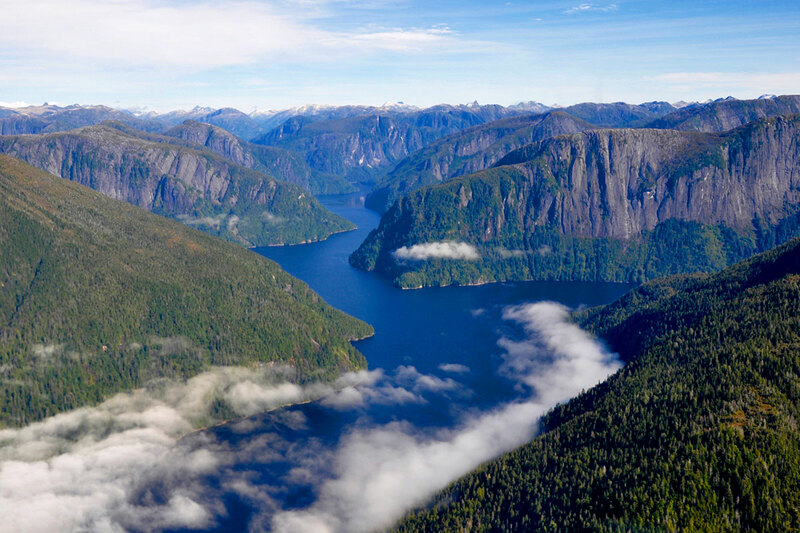 The area is a complex labyrinth of fjords and bays and is commonly used by whales and sea lions for shelter during the summer months. Other wildlife residing in the region include mountain goats, bald eagles, bears, puffins and sea otters. Step ashore at Icy Strait Point today. 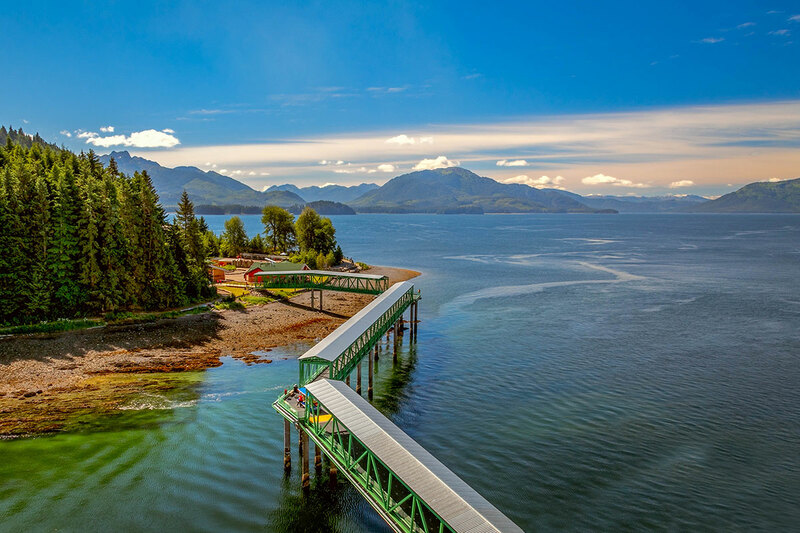 This is an ancestral home of the Tlingit Indians, and visitors can also visit a historic cannery as well as explore monuments commemorating the region’s fishing and culture heritage. There are also good wildlife-watching opportunities. 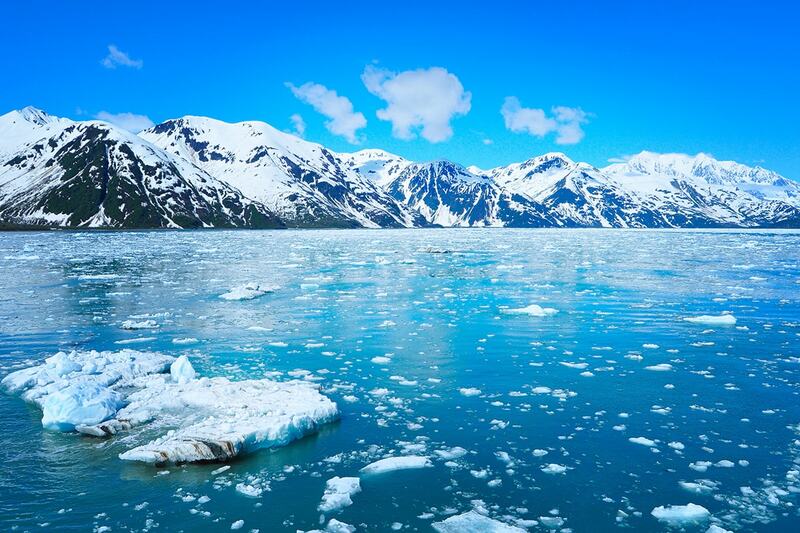 Have your camera poised at the ready as you set eyes on Hubbard Glacier. As well as being spectacularly beautiful, Hubbard Glacier is the largest calving glacier on the North American continent. Passers-by may be lucky enough to see an iceberg – some measuring up to 10-storeys high – break off and begin its journey out to sea. The cruise makes port in Juneau. 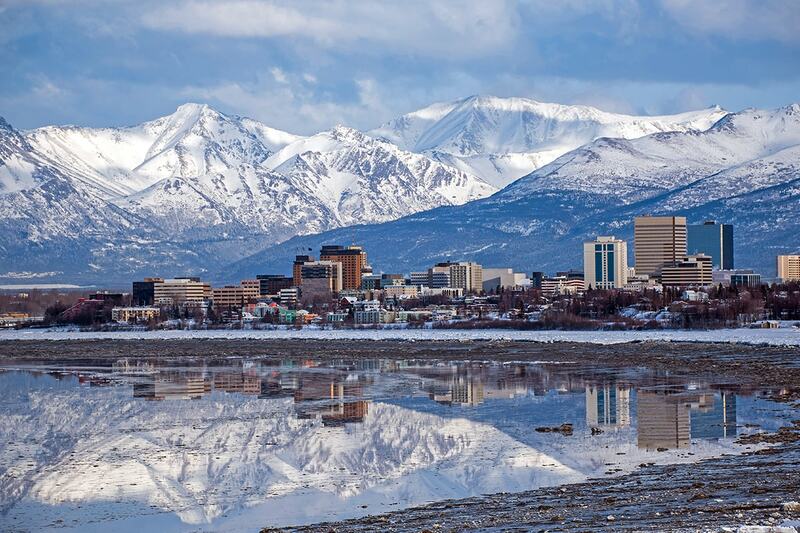 This city is completely cut-off from the outside world; there are no roads leading in or out of town, despite Juneau being Alaska’s capital city. 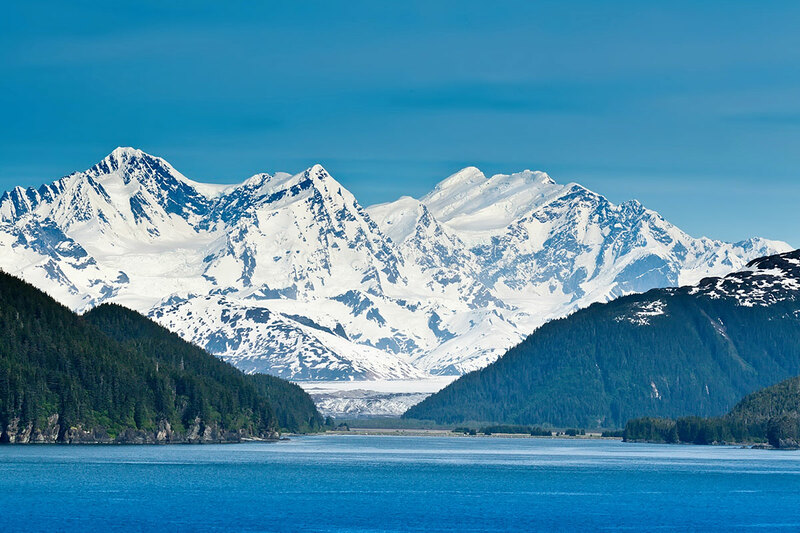 Rather, Juneau is completely ensconced by wilderness, from looming mountains to the waters of the Gastineau Channel. 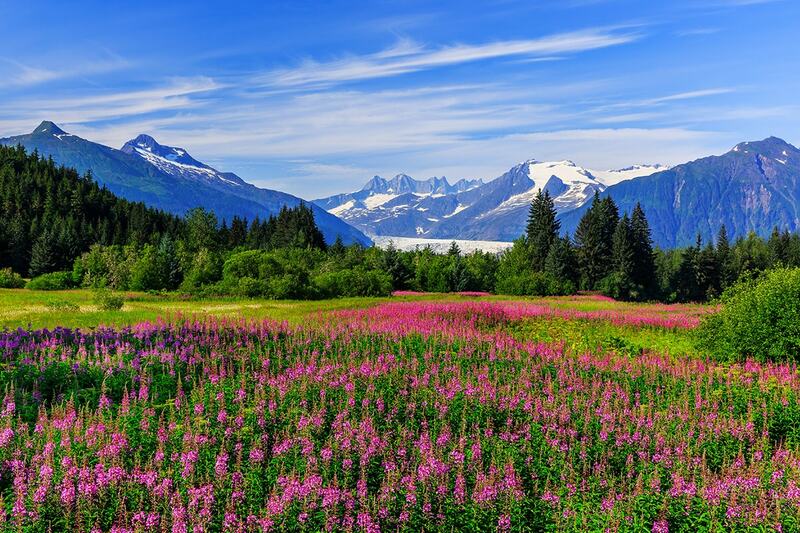 Mendenhall Glacier, a part of Juneau’s Icefield, is also located nearby, and passengers can take up the opportunity for a float trip. 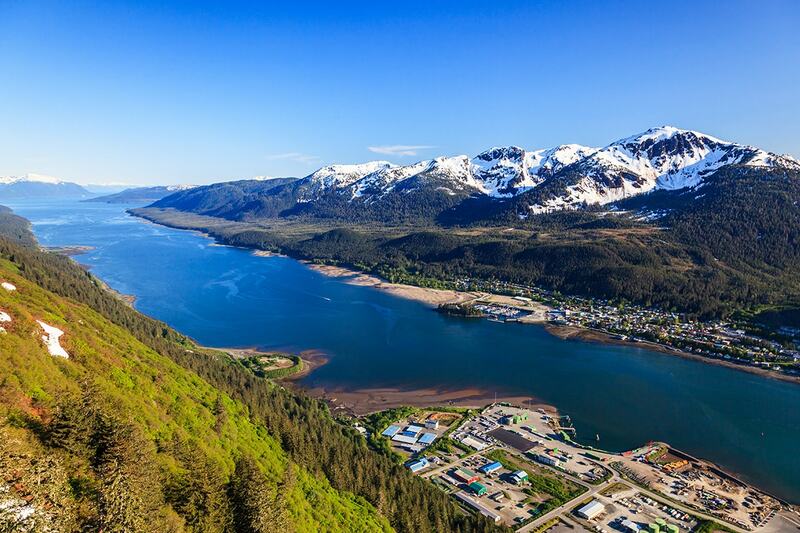 Juneau has a distinct frontier feel to it, and visitors can soak it up by wandering around the city streets or joining an optional activity such as whale-watching, zip-lining or touring the Capitol or Alaskan Brewing Co buildings. 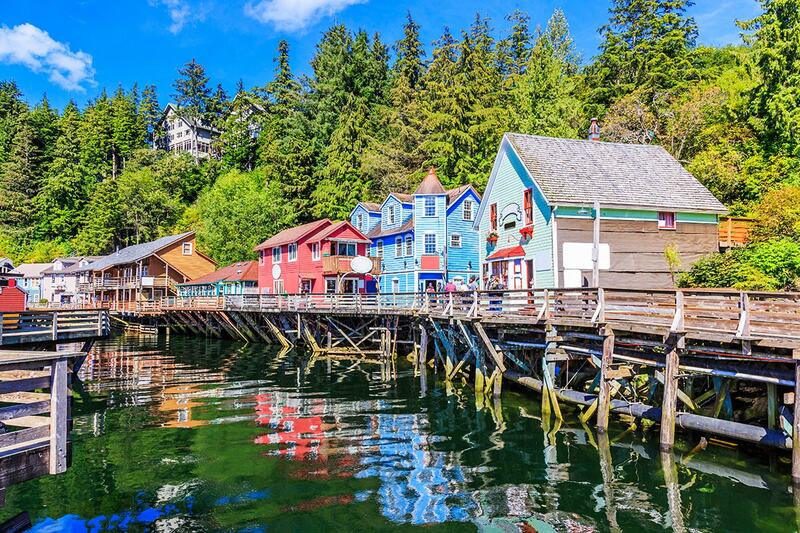 Today’s stop is sure to be a particular hit with seafood-lovers, as Ketchikan has earned a world-wide reputation for its salmon. Hunt down a sample of this claim to fame or seek out the totem poles carved by the local Tlingit people. Wander past the piling-perched buildings lining Creek Street, or head to the museum at Dolly’s House to gain a better understanding of bygone frontier life. Outdoor-enthusiasts can opt to kayak in Misty Fjords or hike up Deer Mountain. There is also a good collection of galleries and shops to explore. Sail back through the Inside Passage on the return voyage to Vancouver. Take in the spectacular scenery one last time while enjoying the first-class facilities onboard the ship. 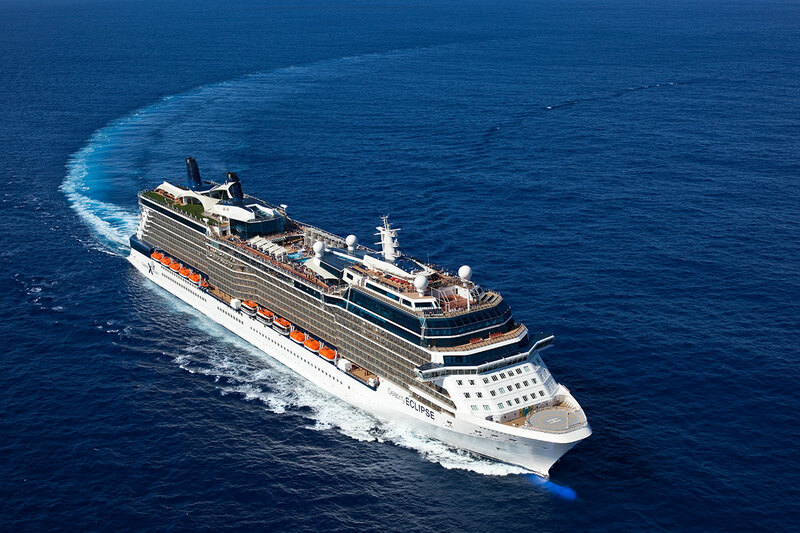 Disembark Celebrity Eclipse® this morning and make the most of your remaining time in Canada. The remainder of the day is at leisure before making your own way to Vancouver airport for your homeward flight. Taxis, public transport are readily available from downtown Vancouver. Arrive back in Australia today. 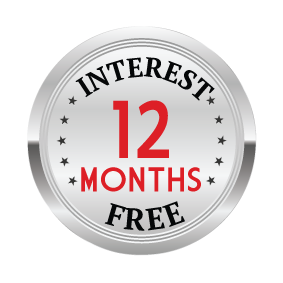 A deposit of $299 per person is due at the time of purchase in order to secure your date. 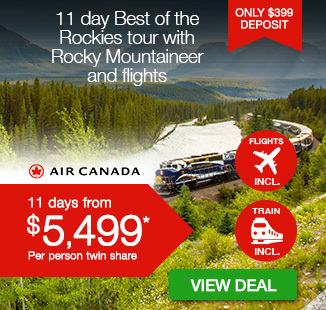 Tour Only: To purchase this tour without the return international flights, click here. By selecting this option, all airport transfers (if applicable) will be forfeited. Transfers: Arrival transfer is based on one group transfer. The entire group will be transferred to and from the airport together and will need to arrive in time for the first flight departure. All tour only bookings remain strictly non-refundable, non-changeable and non-transferable from the time of purchase. Webjet Exclusives will not be able to assist with flight change requests/schedule changes for airfares not booked by Webjet Exclusives.